Cematex, the European Committee of Textile Machinery Manufacturers, has announced that ITMA will return to Milan, Italy, for its 19th edition in 2023. ITMA 2023 will be held at the Fiera Milano Rho exhibition centre from 8 to 14 June 2023. Fiera Milano, which also hosted ITMA 2015, beat two other short-listed bidders out of an initial list of nine venues. 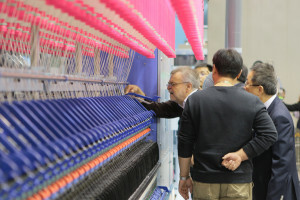 “It is a great satisfaction for us to have brought the top international exhibition of machinery and technology for textiles and clothing back to Italy,” said Mr Fabrizio Curci, Chief Executive Officer of Fiera Milano. ITMA, the large textile and garment technology exhibition, has been held every four years since 1951. The next exhibition will be held from 20 to 26 June 2019 at Fira de Barcelona, Gran Via venue, Spain. 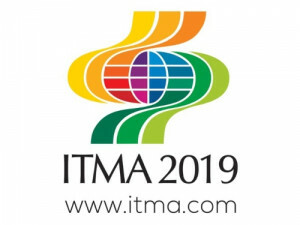 Space at ITMA 2019 has sold out and new applicants are being put on a waiting list. The exhibition has attracted over 1,600 exhibitors to showcase their latest technologies and sustainable solutions for the entire textile and garment manufacturing value chain, as well as fibres, yarns and fabrics. Stitch & Print International Magazine is written for professional embroiderers, textile printers and garment decorators. It is published in English and German.